Doctor Who has a large fan base in Arizona so we just wanted to pass on the new actor who will be playing the 12th doctor. Peter Capaldi will be the next doctor. From Glasgow Scotland, he was most recently seen in the film World War Z. Previous Previous post: It’s Saturday! 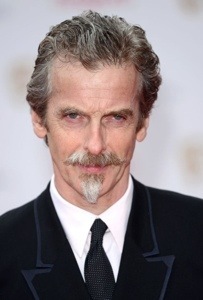 I’m excited and nervous all at the same time for this new doctor. I will miss my beloved Matt Smith! !